High school principal “Larx” Larkin was pretty sure he'd hit the jackpot when Deputy Sheriff Aaron George moved in with him, merging their two families as seamlessly as the chaos around them could possibly allow. Larx thought he was okay with the dangers of Aaron’s job, and Aaron thought he was okay with Larx's daughter—who is not okay—but when their worst fears are almost realized, it puts their hearts and their lives to the test. Larx and Aaron have never wanted anything as badly as they want a life together. Will they be able to make it work when the world is working hard to keep them apart? The second book in this series manages to combine gentle family dramas with terrifying police incidents as Larx and Aaron navigate their personal and professional lives. This time Larx and Aaron are settled as a couple. They don’t have as much time as they’d like together as their almost adult children need more support than they’d predicted – but they are a solid couple. This time, there is more focus on policing than teaching. Some of the drama is a little bit over-the-top, but the action prevents the cosy domesticity from becoming too cloying. I really love Larx and Aaron together but there are moments in this book when some of their kids are a little bit too perfect and the story starts to feel like an ‘80s family values sitcom with a tiny rainbow twist. I do love that this is another story about love between two men in their 40s. Larx and Aaron feel real and they feel intimately familiar. I really loved them both. But while this is a relatable romance, at times it felt a little bit too much like real life. I tend to read romance for idealised escapism, so I was torn between loving the way the author captures the joys and strains of family life and finding the realism a little bit stressful. I’ve really enjoyed both of the Bonfires books and I’m not sure I’m ready to let this family go quite yet. 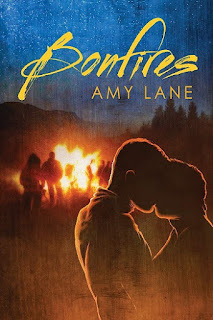 For reviews & more info, check out our Bonfires post. 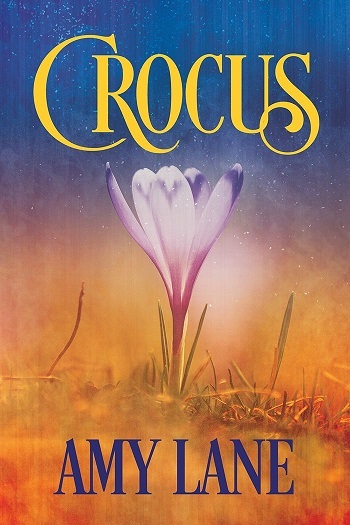 Reviewers on the Wicked Reads Review Team were provided a free copy of Crocus (Bonfires #2) by Amy Lane to read and review.